Move in ready! Stunning floor plan with a grand backyard. This 4 bedroom 3.1 bath offers an abundance of space inside and outside. As you enter the home of your dreams you will notice the hardwood floors throughout the entire home. Living room has beautiful views of the large front yard and plenty of natural light. Dining room is right off the living room and is perfect for dinner parties! Kitchen features an eating area and views of the large Family room is great for gatherings of all sizes. Enjoy the cozy fireplace entertaining guest. Luxury master suite with large walk in closet w/separate shower and Jacuzzi tub with dual vanities. Plenty of storage space in the finish basement. Must see!!! Is located in a quiet cul-de-sac. 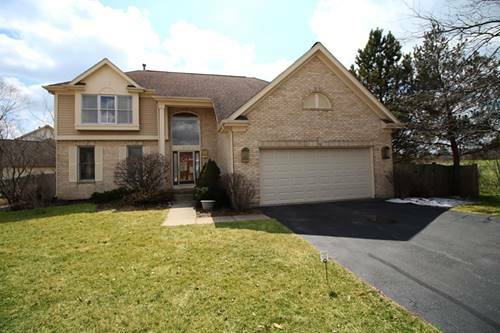 For more information about 202 Stonebridge, Mundelein, IL 60060 contact Urban Real Estate.